Your barbecue fuel help starts here. Whether you are on wood, charcoal, gas or still deciding, you can do a lot worse than browse your way through all the questions below. If the answer to your question isn't here or you find a question rushing into your mind as you read on the don't worry, you can ask a question here . I attempt to answer all the questions using my 20+ years of BBQ experience but even I'm still learning and don't know the answer to everything. If I can, I'll do some research to help you because if you want to know, then for sure there will be another fellow out there dying to know the answer to your very same question. And if I can't answer it? Well there's loads of great BBQ aficionados all over the world reading the Q+A's so we'll get an answer to you somehow (thanks guys!). Barbecue Charcoal: Lumpwood Or BBQ Briquettes? Natural Gas Or LPG Barbecue ? What Should You Buy? Can LPG Run A Barbie? How Long Can I Store The Pellets Before They Decompress? Should I Use Charcoal Or Wood As A Smoker Fuel? Can The Weber Q220 Use A 20lb Gas Cannister? Do I Need To Soak Wood Chips When Using My Smoker? Can I Use Crabapple Wood For Smoking? Do I Need To Bark My Wood? 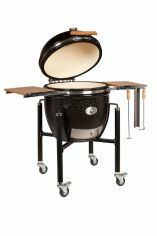 Should I Use Charcoal Or Wood In My Offset Smoker? I Have Black Soot On The Bottom Of My Pans, What's Causing This? Is All Maple Good For Smoking? Is Walnut Wood Good For Smoking? Where Can I Get ..................?